The 2 Day 1 Night Fraser Explorer Tour is the perfect way to cram the best of Fraser Island into your itinerary if you're short on time! This tour offers plenty of fun and adventure with visits to spectacular Lake McKenzie, Eli Creek and Indian Head where, if you're lucky, you'll be able to spot the local wildlife including sharks, dolphins, turtles, rays and even whales. 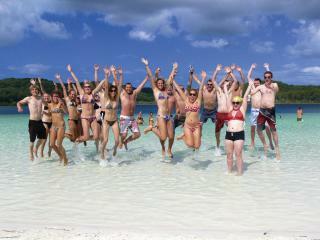 Visit a number of beautiful sites on your way to Fraser Island on Sunset Safari's 2 Day Fraser Island Eco Tour. The tours are fully guided and visit Cooloola National Park, Rainbow Beach, Red Canyon, 75 Mile Beach, Coloured Sands, Indian Head and Lake Birabeen! Accommodation and some meals are also included in the tour so all you need to think about is relaxing and enjoying nature at its most stunning! 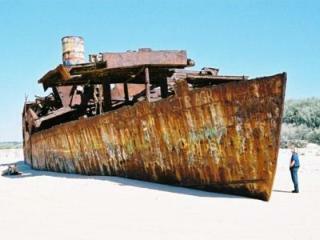 Fraser Island is a must-see destination for anyone visiting South Queensland. This, the world's largest sand island, is a magical jewel from its lush tropical rainforests to its golden beaches and pristine lakes. 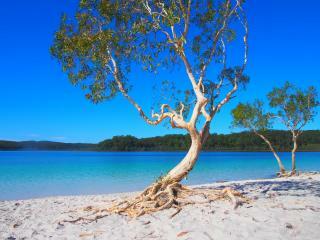 Take a couple of days out of your holiday itinerary to discover beautiful Fraser Island. 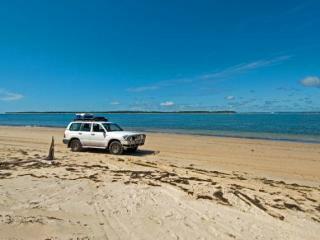 Get the most out of your Fraser Island experience with the adventure of a Cool Dingo 2 Day 1 Night Tour. Accompanied by a knowledgeable guide you'll visit all the best sights and attractions with the comfort of Wilderness Lodge accommodation, meals, 4WD touring and return catamaran transfers. This all-inclusive Cool Dingo 3 Day 2 Night tour is fully guided and provides accommodation, buffet meals and 4WD tours to visit some of the most awe-inspiring sights of Fraser Island! See the pristine beaches of Lake McKenzie as well as some of Fraser Island's most popular attractions including Pile Valley, Central Station, Basin Lake and Wanggoolba Creek. 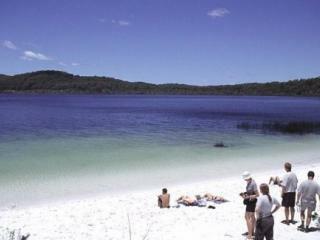 Perfect for a short visit to Fraser Island, this day tour offered by The Discovery Group is available to small groups of up to 25 per vehicle and showcases highlights such as spectacular pristine beaches, the coloured sands of Rainbow Beach, the stunning 75 Mile Beach and the world heritage largest sand island. Featuring overnight accommodation at Eurong Beach Resort or an eco-friendly campsite, this two day tour offers an authentic Fraser Island experience visiting Wanggoolba Creek, Central Station, Cathedral Beach, 4WD to Eli Creek, Lake Wabby and beautiful Indian Head. This three day tour departs Brisbane or Noosa and heads north to colourful Rainbow Beach then crosses over to Fraser Island. Visit 75 Mile Beach before travelling north to Indian Head and the lookout where you'll see turtles, dolphins, sharks and even whales. 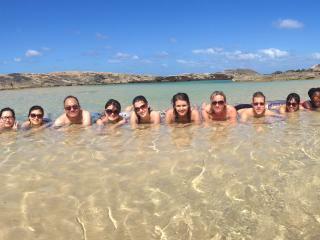 Accommodation and facilities are all included thanks to Kingfisher Bay Eco Resort.